Police, Detection & Protection Dogs. A-Super Social & Civil with suspect. D-Old Belgian NVBK and Dutch KNPV bloodlines. TIGRE Vom Artiles - He was born 1-3-17. He is a medium size male. Very social with the handler and children. He does not show unnecessary aggression with strangers. Very level headed socialized k9. If asked or provoked, he becomes super civil (aggressive) with the decoy. Excellent defending the handler. Very good indoors. This is a video biography of some of his training from the present age of 18 months going back to 5 weeks old. He is now trained as a single purpose police K9, also as a Security K9, and a personal protection dog. 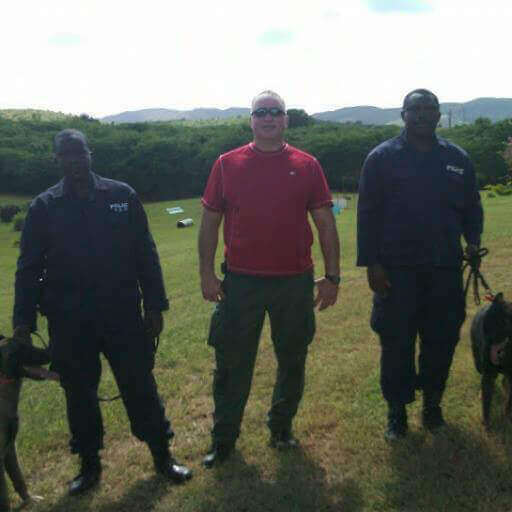 Providing Fully Trained K9's to the United States, Central & South America, the Caribbean, and the rest of the world. Half-trained police dog. 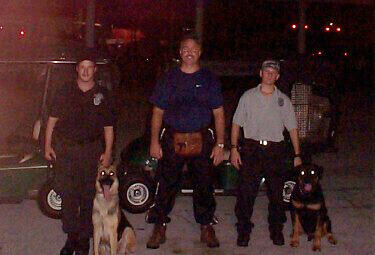 K9 can be half trained in obedience, protection, or detection. It does not mean that the dog has zero work done to him. Any dog that will be used for police work requires a lot of screening, testing, socialization, and preparation or foundation training in order to be used or considered for police work. Dogs require a lot of training for them to qualify as green police dogs. Finished fully trained and ready for certification and use on the streets. Obedience, Police Protection and Patrol work, Building Searches, Wooded area searches, tracking and detection (narcotics or explosives) optional, hips and temperament guaranteed up to six months from the date of sale. 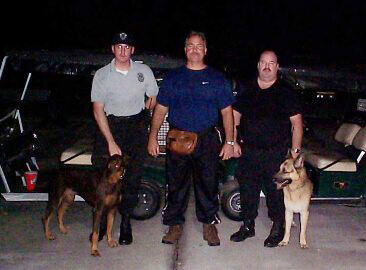 We offer green or fully trained ready for certification or certified narcotics or explosives detection K9's. We use Belgian Malinois, Dutch Shepherds, German Shephers, and Labrador Retrievers. We offer high quality, old Belgian NVBK bloodlines, Belgian Malinois, Dutch Shepherds, and Czech Border Patrol bloodline working German Shepherds. These puppies are screened and socialized. They are guaranteed to have high ball drive, hunt drive, and a strong bite. Our dogs will be trained and socialized for obedience and basic protection work, including verbal alert command, a short and a long attack on command, and a house search. It also includes guarding the yard and civil fence work. also proper behavior in the house. You must request whether or not you need your personal protection dog to be good with children in the home or not. This dog is trained in bite work and to also keep all trespassers out of your property. He will be trained to protect the perimeter fence on your property and to guard your property without the assistance of his owner's presence. Obedience and food refusal training is optional for guard dogs.